The Tamiya 70162 Remote Control Construction Set includes all the Tamiya parts necessary to make your own wheeled chassis. Attach either an arm, bucket, or shovel for grabbing, scooping, lifting, and carrying objects. If you are feeling ambitious, use the parts available to come up with something new, or consider using some other Tamiya construction products to really create something fantastic! This kit includes step-by-step illustrated instructions (1MB pdf) in both Japanese and English. Tamiya does not list a recommended age range for this kit. If you are considering purchasing this kit for a child, we recommend reading through the instructions to decide if it would be appropriate. Please note that assembling the kit requires the following tools: screwdriver, side cutters, long-nose pilers, and a modeling knife. Two D batteries are required but not included. No soldering is required to assemble this kit. Tamiya 70162 Remote Control Construction Set (tire type) box. Please note that the hardware and colors of the parts included in this kit might vary from what is available when you purchase the parts separately. 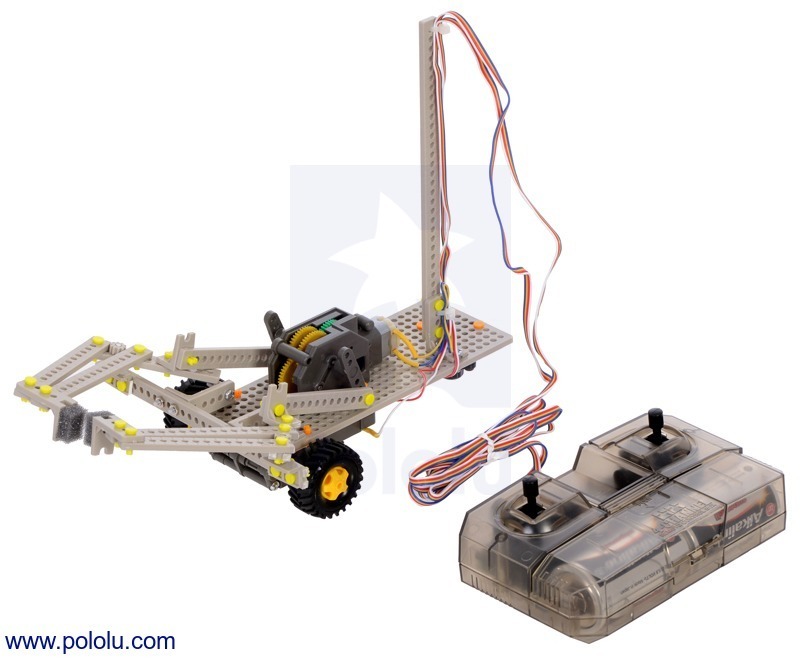 For a similar kit, you might consider Tamiya’s Remote Control Construction Set with tracks.